What’s the difference between food allergies, intolerances and coeliac disease? Over the last 20 years food allergies, intolerances and coeliac disease have become more and more common. Many children are now being diagnosed with multiple severe allergies. The BBC reported Coeliac disease is on the rise with a rate of 19.1 per 100,000 diagnosed in 2011, compared with 5.2 per 100,000 in 1990. Food intolerances are more common than allergies and coeliac disease state the NHS. If intolerances are common, and allergies and coeliac disease are becoming more common, it might be thought they should all be lumped into one category. However, allergies, intolerances and coeliac disease have fundamental differences which set them apart from each other. These differences also have ramifications for food production and the risks taken or not taken when deciding what to eat. So, allergies, intolerances and coeliac disease: what are they? how are they different? are those differences important? An allergy is an immune response the body has to a particular foreign substance causing an allergic reaction. For those with allergies, even the smallest amount could prove fatal. An allergic reaction is an over-reaction the body has to an allergen. An allergen is a substance which can cause an allergic reaction. Allergens such as peanuts, fish, dairy and eggs do not cause problems for everybody, however for some it could be life threatening. Reactions can happen immediately or can take a few hours. A reaction is caused because the body produces Immunoglobulin E, an antibody designed to respond to this allergen. IgE’s purpose is to destroy disease cells, however in the case of an allergic reaction, the body believes the protein of the allergen is a disease. The IgE destroys the white blood cell it is attached to. The destruction of these white blood cells leads to the release of histamine, a chemical produced by the body, into the surrounding blood and tissue. The release of histamine can cause a variety of symptoms such as itching of the body, eyes and nose, hives, faintness and stomach pain, sneezing, wheezing, nausea and vomiting. An allergic reaction can be widespread throughout the body depending on the exposure to the allergen. Anti-histamines can also be used to reduce inflammation. If a reaction progresses to a more severe stage, this reaction is known as anaphylaxis, which is life threatening. The risk is that the air ways can become swollen causing difficulty in breathing. Those diagnosed with anaphylaxis will be prescribed adrenaline auto-injector pens to be carried at all times incase of an anaphylactic attack. Some children can grow out of their allergies, but many have theirs for life. There is no cure for allergies. 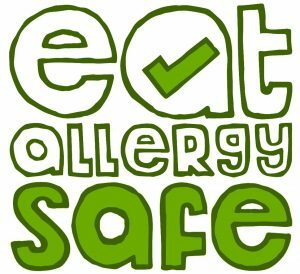 The best and safest course of action that is advised by medical professionals is to avoid all known allergens. If you do have an allergy, make sure you avoid known allergens, keep medication with you, read the ingredients labels and ask about allergens if you’re eating out. Remember to speak also speak to your doctor if you have concerns. A food intolerance is when the body has trouble digesting a certain food product. The difference between food allergies and intolerances is that intolerance is not an immune response. The reasons for food intolerances can vary. Some people do not have the correct enzyme to digest a certain protein, such as with lactose intolerance. People with lactose intolerance do not have the enzyme lactase to give them the ability to digest lactose containing products. If you have Irritable Bowel Syndrome symptoms can be exacerbated or eleviated by certain foods. Food poisoning may cause an intolerance, or a sensitivity to food additives. Symptoms experienced have some similarities to those with allergies: intestinal gas, abdominal pain and diarrhoea can all be experienced. However these symptoms are not caused by IgE antibodies, intolerances are to do with the digestive system. Unlike allergies, those with intolerances can eat small amounts the offending food. Sometimes it takes a build up to cause symptoms. Some symptoms can have a delayed onset and last anywhere between a few hours or a day. Symptoms can be incredibly uncomfortable. To avoid any uncomfortable or unpleasant symptoms, it is suggested to avoid the offending food. If you are concerned, speak to your doctor or nutritionist for more information. Coeliac disease is an auto-immune disease. An auto-immune disease is when the body attacks itself. In coeliac disease, the body’s immune system attacks itself when gluten gets into the body. The body of coeliac disease sufferers mistakes the gluten protein as a foreign invader and provokes an auto-immune response in the small intestine. This means that the gut starts to attack itself. This destroys the tiny hairs which line your small intestine, called villi. It perforates the gut, this is also known as “leaky gut” syndrome, and stops your intestine from absorbing nutrients from food. Some coeliacs can also develop Dermatitis Herpetiformis, a type of red rash. Although this may seem similar to allergies, it is not caused by IgE. Symptoms can vary in severity from person to person with different symptoms affecting different people. The affects of eating gluten, or being “glutened” can last for a few hours to a few days. Those suffering from Coeliac Disease can suffer a variety of symptoms that range from mild to severe, including; bloating, diarrhoea, passing wind, stomach pains, weight loss, malnutrition, depression, fatigue, repeated miscarriages, anaemia, hair loss and, in children, not growing at the expected rate. Some symptoms suffered by coeliacs are similar to those suffered by those with intolerances. This causes some cases of coeliac disease to be mistaken as Irritable Bowel Syndrome or wheat intolerance. Coeliac disease symptoms occur because the gut is attacking itself. Long term exposure can have long term damage. Coeliac disease sufferers, if they continue to eat gluten, are at greater risk of osteoporosis, certain kinds of gut cancer, and a greater risk of other auto-immune diseases such as type 1 diabetes and thyroid disease. There is no cure for Coeliac Disease. It is a life long condition that can be managed through a gluten free diet. A gluten free diet relieves symptoms and lets the gut act normally. In cases of dermatitis herpeformis, medicines can be prescribed to relieve symptoms while the gluten free diet is taking affect. So how are allergies, intolerances and coeliac disease different? Allergies, intolerances and coeliac disease have similarities between their symptoms however they are produced by different responses in the body. Allergies are an immune response produces the antibody IgE. Intolerances are due to trouble digesting certain foods, they are not to do with the immune system. Coeliac disease is an auto-immune disease where the body attacks itself when specifically gluten is consumed. Allergies can be life threatening in the case of anaphylaxis. Coeliac disease can have long term damage with prolonged exposure. Intolerances can have uncomfortable symptoms, but they are not life threatening. Symptoms for allergies, intolerances and coeliac disease can all vary in their onset and variety from person to person. Is it important that we distinguish between allergies, intolerance and coeliac disease? Lets look at the allergen wheat as an example: person A has a wheat allergy, person B has a wheat intolerance and person C has coeliac disease. Cross contamination scenario: Knife is used to cut bread containing wheat flour and then used to cut vegetables. Person A can be affected by a minute about of wheat causing swelling, hives, vomiting and other symptoms. The reaction can take place all over their body depending on their exposure to the wheat. If person A eats the vegetables thinking that no cross-contamination has happened but then has an allergic reaction to the ‘little bit’ of crumb on the vegetables, Their reaction can happen immediately or within a few hours. Their body produces IgE to attack the wheat protein. In the worst case, a reaction could develop to an anaphylactic attack needing adrenaline and immediate hospitalisation with the risk of death. Person A, however, could probably eat rye and barley because these grains do not contain wheat, so long as there has been no cross contamination. Person A would most likely avoid food products which would have a “May contain wheat” warning. Person B in the same situation will most likely not be affected at all by the cross contamination. They would probably have to eat more than a trace amount to have some symptoms such as bloating, stomach pains or intestinal gas. The symptoms will clear up within a few hours or a day usually. Person B, like person A, may also be able to eat rye and barley because they do not contain wheat. Though the difference to person A is that cross contamination doesn’t matter so much. Person B would not need to pay attention to may contain warnings, because the risk of the product containing wheat is not that great. Person C would be affected by the cross contamination and have symptoms such as bloating, stomach pains, diarrhoea, depression and others from immediately ingesting the bread crumb to a few hours later. Some people experience symptoms for a few hours or a few days. The difference between coeliac disease, wheat allergy and wheat intolerance, is that person C would not be able to eat rye or barley because these grains, like wheat, contain the protein gluten. It is the gluten in these grains that case coeliac disease sufferers the problem. So whether these grains were cross-contamination with wheat, person C wouldn’t be able to eat them anyway. Person C would be very wary of a “may contain warning” because of the severity of symptoms and the possible long ramifications. So, is there a point in distinguishing between allergies, intolerance and coeliac disease? I would say yes, there is a point. But why? In the case of allergies and cross-contamination, we can see from the scenario above, “a little bit” is a big problem. For coeliac disease sufferers, “a little bit” leads to many problems, some of which can have long term affect. For those with intolerances it could maybe lead to problems. On the backs of food packets there are allergy advice warnings. These warnings are directed and vetted on the “do I risk it?” basis. Cross-contamination can lead to a world of hurt and pain in the case of allergies and coeliac disease. Chefs and restaurant staff need to know when it is really important to avoid cross-contamination. If everyone says “I’m allergic” or “I’m coeliac” when they’re not, it is going to be like the boy who cried wolf. Except it’s not the boy who cried wolf whose going to suffer, it will be the people who arrive later who actually have a problem. Your body distinguishes between allergies, intolerance and coeliac disease. It is important because that distinction is how your body reacts to an allergen. In some cases, it can be fatal. Got any questions or comments, leave a comment below . We hope you enjoyed the article, but before you go we need to ask a favour. What articles do you want to read? Get in touch and let us know so we can provide YOU with the most useful and relevant posts. Please email us via the contact page here.